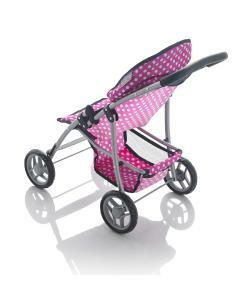 The Molly Dolly My First Doll Stroller is the most stylish way to carry your dolls around town. 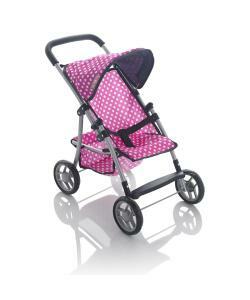 This high-quality buggy features an adjustable hood, a handy basket for all your shopping and a lightweight frame that folds flat for easy storage. Suitable for kids aged three to five, the stroller handle height is 56cm tall and fits dolls up to 50cm high.